When they “receive the call,” everything changes. The way they look at themselves is totally different than moments before receiving the call. They suddenly have a purpose for their lives and a sense of knowing why their Creator has made them. They also seem to have a passion for their newfound calling. I do not mean just an emotional temporary high, but a strong multi-decade passion for their area of ministry. 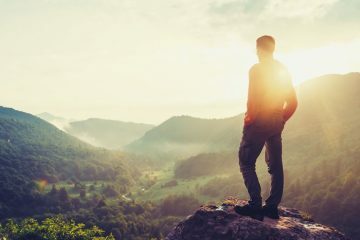 One other thing that happens to this called soul is he or she begins to define himself or herself by the calling: “I’m going to be…” or “I am… a pastor/teacher/________.” This calling is much more than their present 9 to 5 job. It is an expression of who they are, almost at a DNA level. This person becomes their calling. We all know someone who is so passionate about something that it really becomes who they are. Their passion is what we think about when we characterize the person in our minds. Lastly, a called person seems to innately accept a season of education or training for this calling he or she received. They might go to Bible school, seminary, or an intern program in order to discipline their lives to be effective on a sustainable basis for their calling. Thankfully, the church by now has accepted that every believer has a calling, whether it be office manager, politician, or grocery clerk. All are called and all are in full-time ministry all the time. Just as we have a calling to a vocation and/or ministry, many of us have a calling to marriage. If marriage is part of your calling, it is important to understand it if you intend to grow in it. 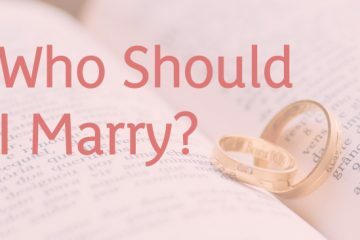 Without understanding the call to be married, you will look at marriage mostly through secular lenses and focus your evaluation of the marriage on how happy you are, and not on how well you are serving your spouse. Here is just a little bit more about calling. When you answer your cell phone, it has a cool feature on it that tells you who is calling (if you have them in your contacts list). It is important to know who is calling you. When anyone is called to a vocation, ministry, or marriage (and so on), who does the calling? God. God, the Almighty, the awesome, all-knowing, all-present, all-powerful Creator is the one who calls you into salvation, ministry, vocation, and yes—He alone has called you into marriage. He alone is the one to whom you will answer for the quality of service toward your spouse. He alone will move you into various stages of preparation and progress as you pass through the various adventures of marriage. It is God who has called me to serve your spouse. They alone are your first ministry—above your children (as wonderful as they are), any public ministry or vocation or responsibility, house responsibilities, workouts, hobbies, or adventures. The only calling above ministry to your spouse is your ministry to love and serve your Lord and Savior Jesus Christ. If you want to learn more about serving your spouse, purchase the book Servant Marriage. Hopefully, as you read this book, you will hear and reflect on these words on a daily basis, “Well done good and faithful servant.” This relates to the amazing servant you have been toward your spouse. If at any time questions come up we are here to answer any questions. Feel free to email us at heart2heart@xc.org or give us a call at 719.278.3708.